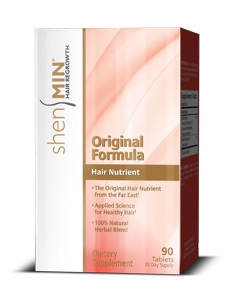 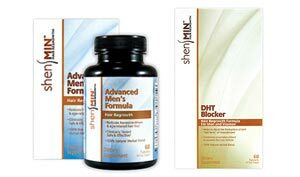 The Shen Min® natural formulas are specifically created for men’s and women’s unique needs. One of the most common types of hair loss in men is male pattern baldness (MPB), a systematic loss of hair that includes a receding hairline and expanding "bald" spot on the top of the head. 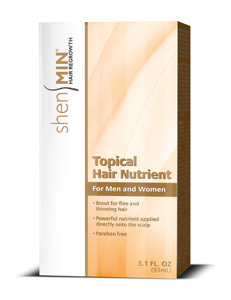 The cause of this age-related hair loss in men is primarily due to the rising level and/or sensitivities to the "bad" testosterone DHT (dihydrotestosterone). 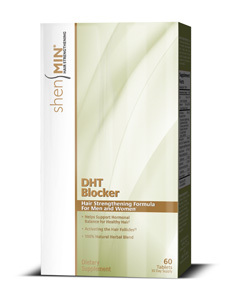 This eventually leads to a horse-shoe-like pattern of remaining hair that is mostly unaffected by DHT.